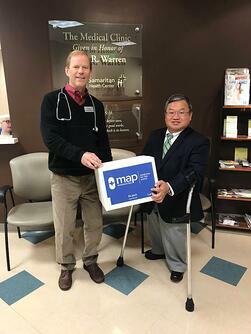 A grant from Georgia Baptist Health Care Ministry Foundation allows MAP to provide high-quality medicines for patients being treated for hypertension, diabetes, asthma, and high cholesterol. Providing medicines like those offered from MAP enabled Marcia to get back on her feet. 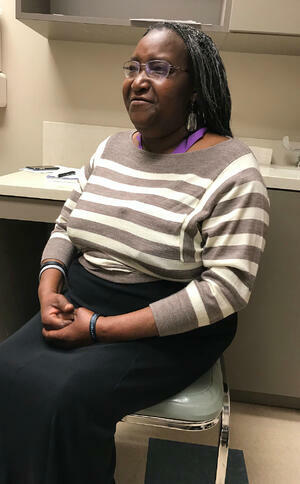 Armed with her diabetes medicine and weekly counseling, she was able to steady her life and find employment. 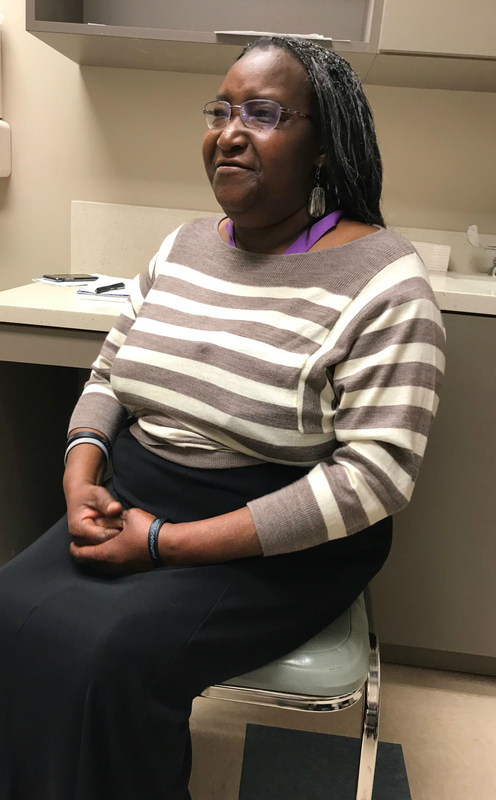 Marcia now works as a Certified Peer Specialist at Good Samaritan helping those who used to suffer like her. “To see people who don’t normally have access to medicines and then they start getting medication…that’s when you see the transformation: the calmness, the hope and the knowledge that they have somewhere to go,” says Marcia, who understands the issues all too well. In just the first year, MAP’s Domestic Medicine Program has served more than 1,800 people, with 60 percent of all patients showing improvement in their disease management. For patients like Marcia, the help is simply life-changing. For MAP, the ability to help Americans in our communities is most gratifying (Pictured L to R: Dr. William C. Warren, Founder and Pediatrician, Good Samaritan Health Center Atlanta and Steve Stirling, MAP International President and CEO). To learn more about how MAP is making a difference in the lives of Americans, visit www.map.org/DMP. Read more inspiring stories like this in our latest newsletter!